Water and food scarcity issues are major global challenges facing humankind, and the recycling and reuse of wastewater, particularly in peri-urban agriculture, can help address these issues. 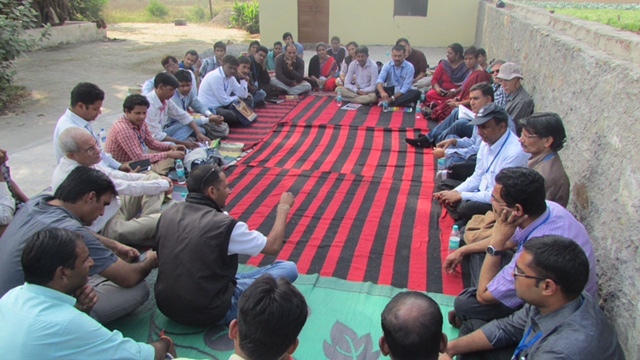 A training activity in India this week aims to enhance the awareness about the challenges and opportunities in using wastewater for irrigation to help the communities in peri-urban areas to increase their income and to protect human and environmental health. 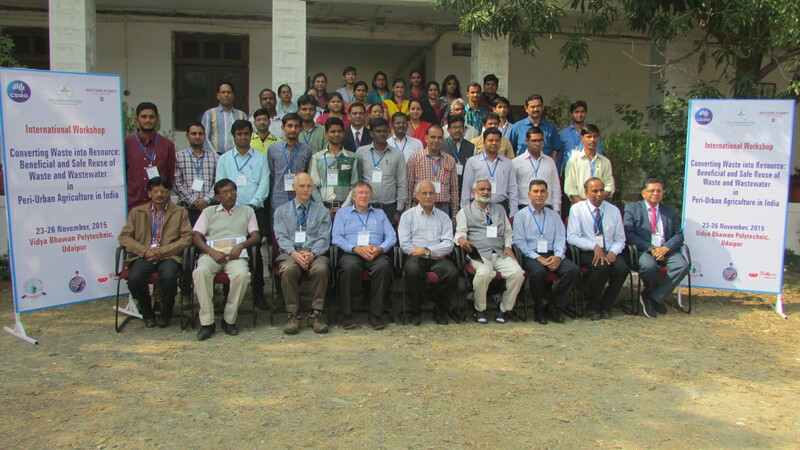 The four-day workshop is being supported by the Crawford Fund and organised by the Vidya Bhawan Trust, in collaboration with Indian institutions (MPUAT and Welkom Pty Ltd) and Australian agencies (CSIRO and Western Sydney University). Wastewater can serve as a precious resource for crop irrigation and increased income and livelihood opportunities of communities, especially those living in peri-urban areas. The use of wastewater for irrigation is an age-old practice around the world, including in India. Wastewater often offers an assured water source and is rich in nutrients and carbon, which are beneficial for soils and can enhance crop production. It is estimated that wastewater reuse for irrigation can increase the income of growers in peri-urban areas by INR 15000 per ha/per year in comparison with conventional water sources. 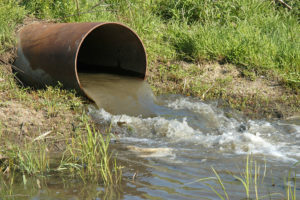 However, in many circumstances the wastewater is either untreated or poorly treated before reuse. Therefore, great caution is needed in using the wastewater, which can be contaminated with pathogens, salts and chemicals (such as heavy metals). If used without proper treatment, it can cause illness and disease in humans and animals, contaminate the produce grown, degrade soils and impact environmental health. While there are clear benefits associated with the use of wastewater in agriculture, there are a number of challenges in ensuring its safe reuse. 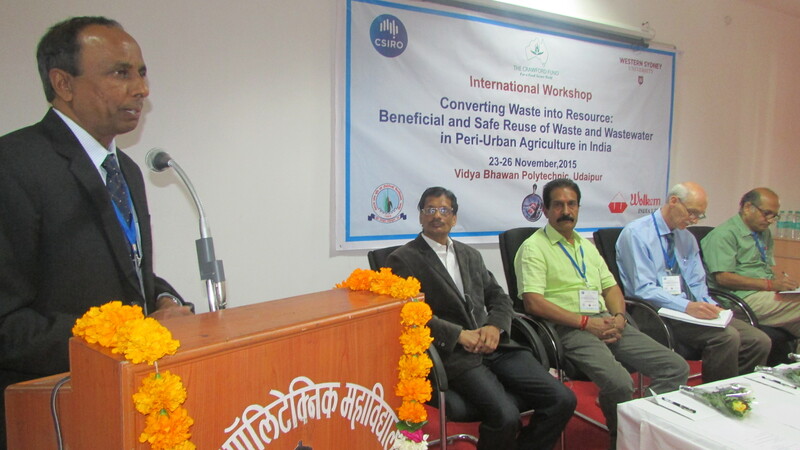 This workshop aims to enhance the awareness about the safe reuse of wastewater in agriculture in India. 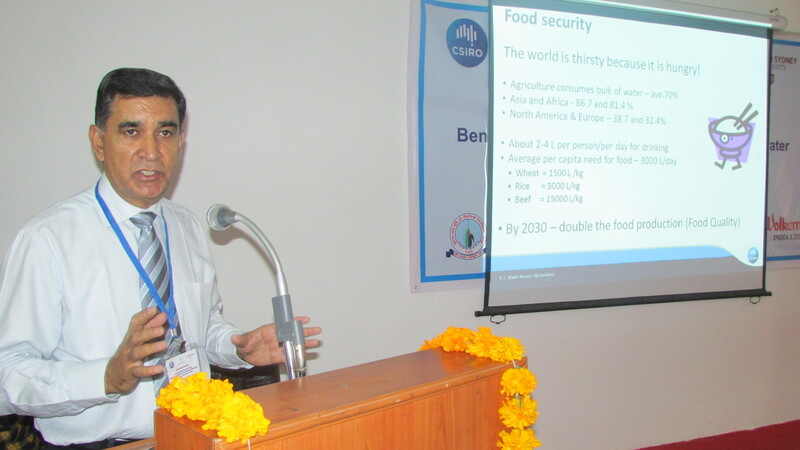 Experts from Australia and India will discuss issues such as pathogens, contaminants, wastewater treatment, groundwater recharge, agriculture, extension education and community outreach. 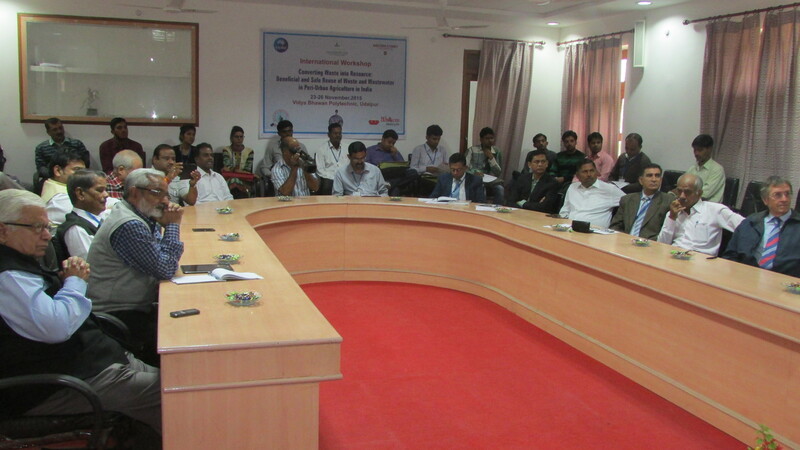 Low-cost options for treatment of wastewater for irrigation will also be discussed. Delegates from Rajasthan, Gujarat, Delhi and other parts of India will share their knowledge and experiences over the four days. 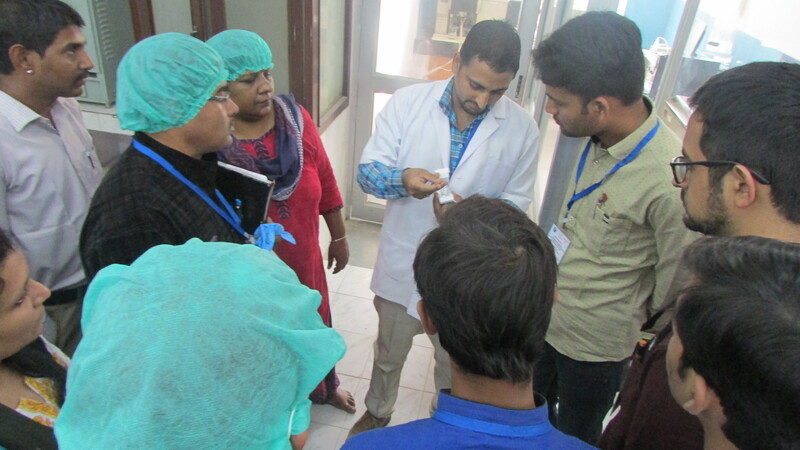 The scientists from Australia and India have analysed water quality along the Ahar River under a related project and the workshop will use the Ahar River as a case study during the training. This analysis showed that some contaminants such as pathogens, heavy metals, pharmaceuticals and antibiotics were present in wastewater and may have an impact on the safe use of wastewater for agriculture and other uses. 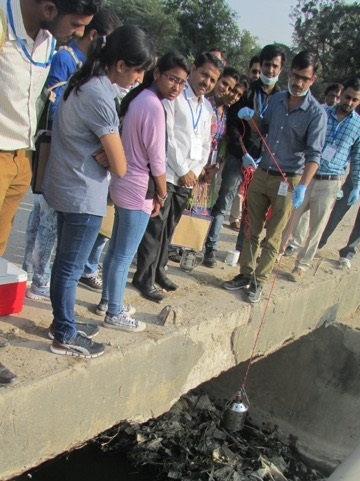 These data and others from around India and overseas will be discussed to identify options and strategies for the safe reuse of wastewater in Udaipur and elsewhere in India. Prof Basant Maheshwari of Western Sydney speaks at the opening ceremony. On the dias – our host Dr Anil Mehta (Vidya Bhawan), Mr Kothari (the Mayor Udaipur City), Dr Peter Dillon (CSIRO), Mr Ajay Mehta (President Vidya Bhawan – our host agency). The findings from the workshop will be summarised in a short report. 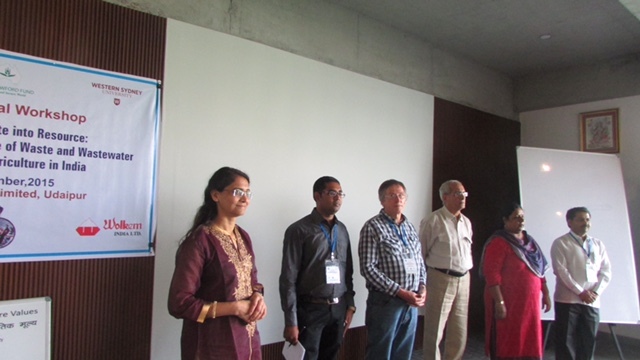 In the meantime, you can read a statement produced by the workshop delegates—known as The Udaipur Declaration—in which workshop attendees from different parts of India and Australia declared their intent to bring about change in wastewater management in and around Udaipur and all Indian cities. Their aim is “to create an upward spiral with wastewater treatment”: improving wastewater quality, restoring the health of streams and increasing the safety of food, thereby making these cities healthier. Access the declaration here. 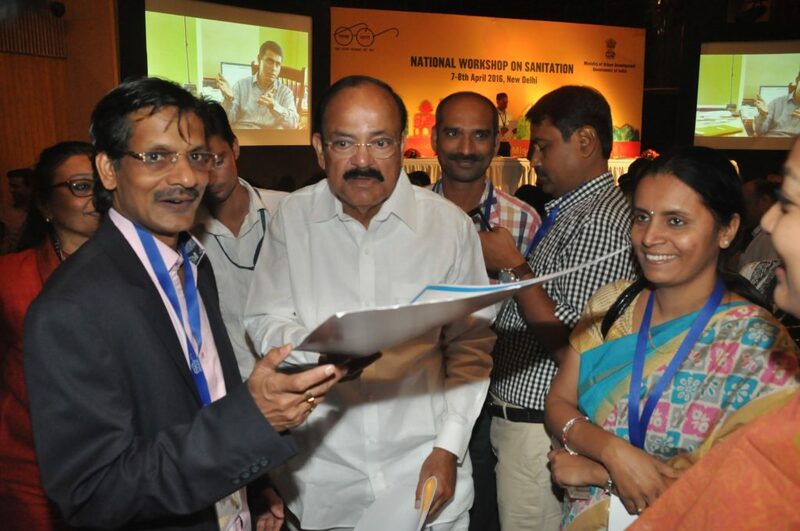 At a recent event, Dr. Anil Mehta (Principal Vidya Bhawan Polytechnic, Udaipur, India) presented a copy of The Udaipur Declaration 2015, ‘Healthy River, Healthy People’, to the Indian Minister of Urban Development M. Venkaiah Naidu. 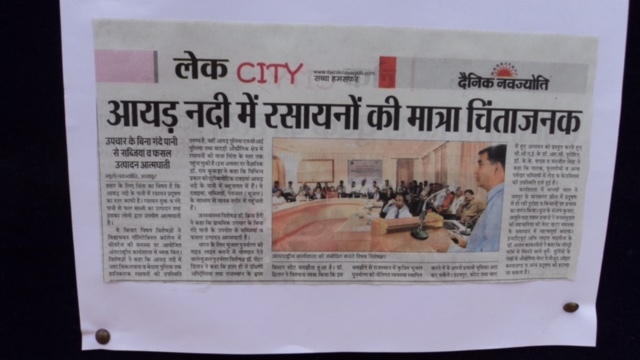 The Royal Harbinger ‘Urgent need to mitigate wastewater pollution in India: Concludes Australia-India workshop in Udaipur’. 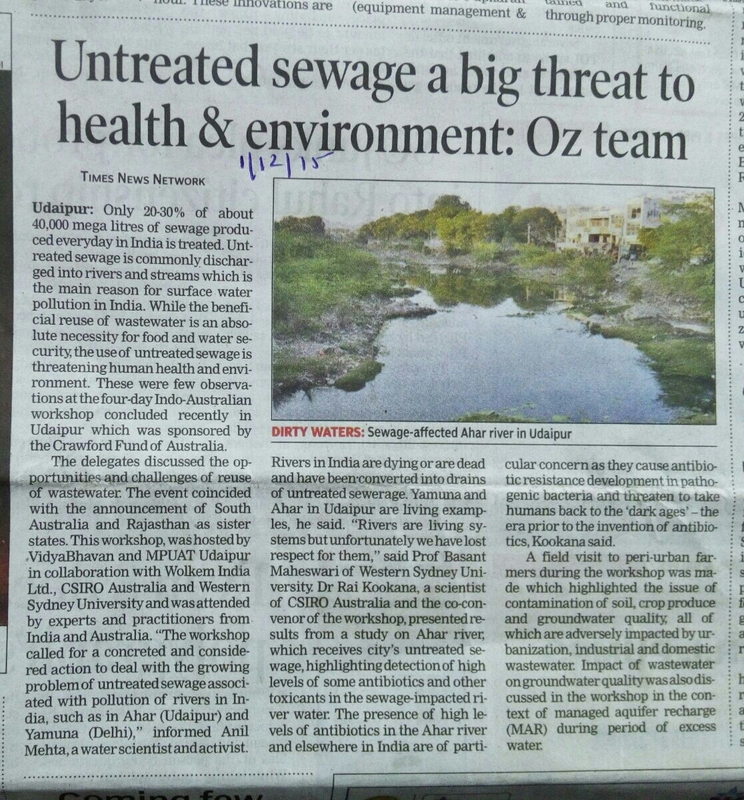 Times of India ‘Untreated sewage a big threat to health & environment: Oz Team’.